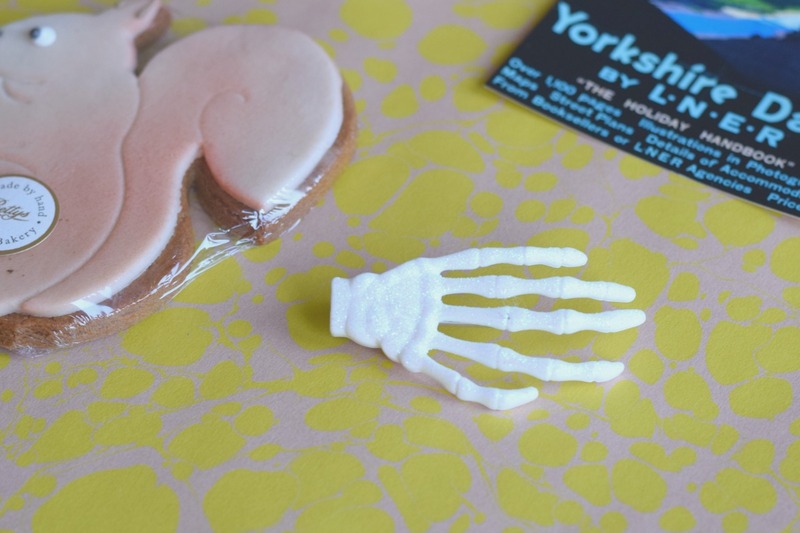 I did think my October round-up would be full of Halloween treats, but to be honest it still feels a bit early for my house to be taken over by all things orange, black and spooky. The weather has been so mixed that some days still feel like late summer, but the mornings are definitely cooler and there is that fresh, crisp air that reminds you that it’s autumn. The first thing I bought for my Five under £5 was this squirrel lebkuchen biscuit from Betty’s. Lebkuchen is a German honey and spice biscuit very much like gingerbread, and is delicious! This squirrel is topped with marzipan and let’s face it, is a bit of a work of art. I love walking past Betty’s just to look at the window displays, which at the moment are packed full of cupcakes decorated like owls (I just typed owl cupcakes but thought better of it), marzipan-covered cakes made to look like apples and of course my favourite massive scone-like fat rascals. It was £3 anyway, which is expensive for a biscuit but come on, it’s Betty’s, it’s a Yorkshire institution! 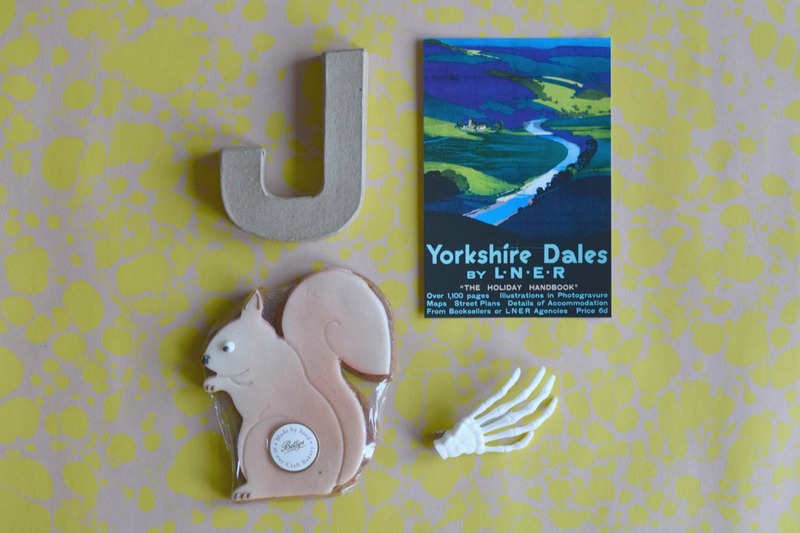 If you saw my last post about easy decoupage letters you will recognise this cardboard J, which I bought from Fred Aldous in Leeds for £1. 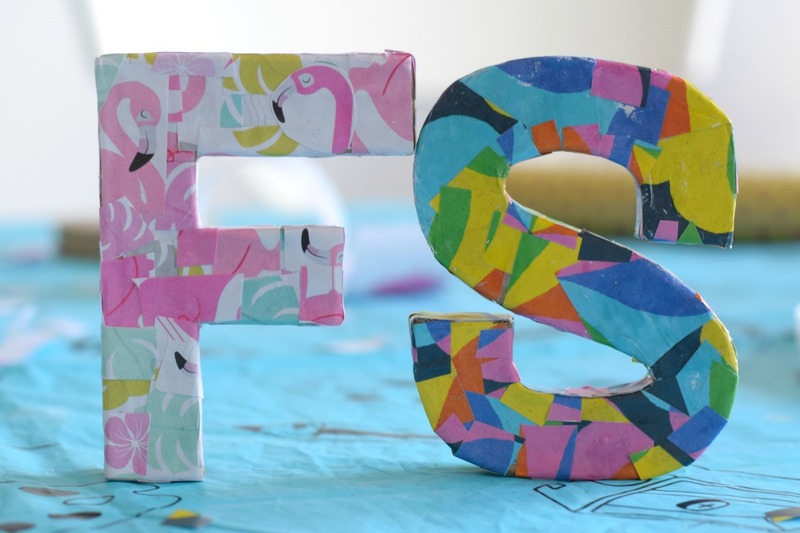 Read the full post to see how we decorated our S and F with wrapping paper, they look really cute. 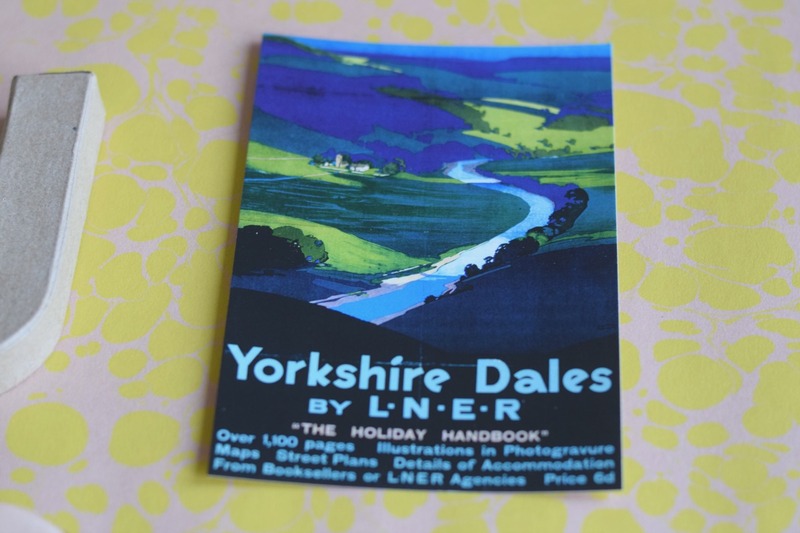 The Yorkshire Dales postcard I bought for 50p in a discount shop and I’ve already had it on display on several shelves around my house. I love the old railway poster-style designs. There is one little nod to Halloween, and that’s this hand hair clip from H&M. I bought a set of two for £2.99 the other day and Flo and I had one each. She thought it was hilarious creeping round the house with me, while wearing them! The background you can see is my 5th thing under £5, a sheet of wrapping paper from the cool Leeds bookshop Colours May Vary. I love the bright yellow colour and as I said in my Five under £5 post last month, I am a bit of a hoarder when it comes to cards and wrap. The shop Colours May Vary has some really nice independent magazines too and some fab pieces of jewellery and a few homewares. 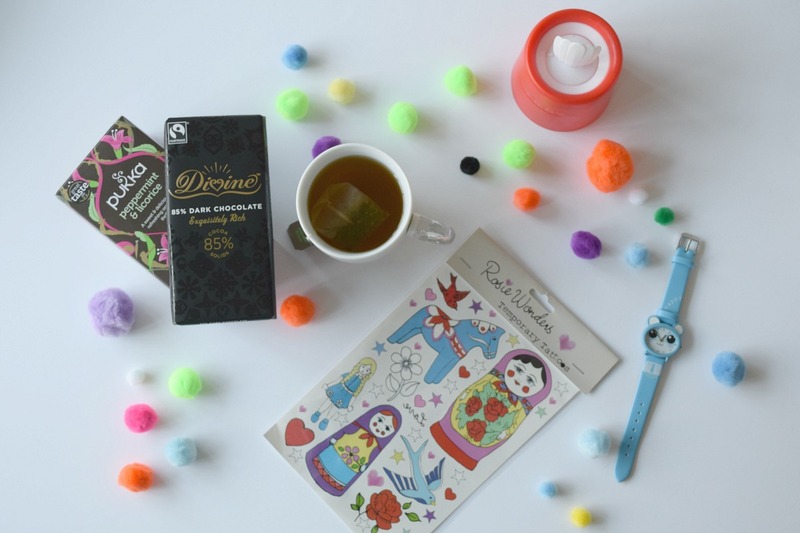 Have you scooped any nice things under a fiver that you’d like to share? If you fancy joining in, please let me know and comment on a few other posts. You can add your post to the linky too. Please tag any posts on instagram or twitter #fiveunder5 so I can easily find them. Thank you! 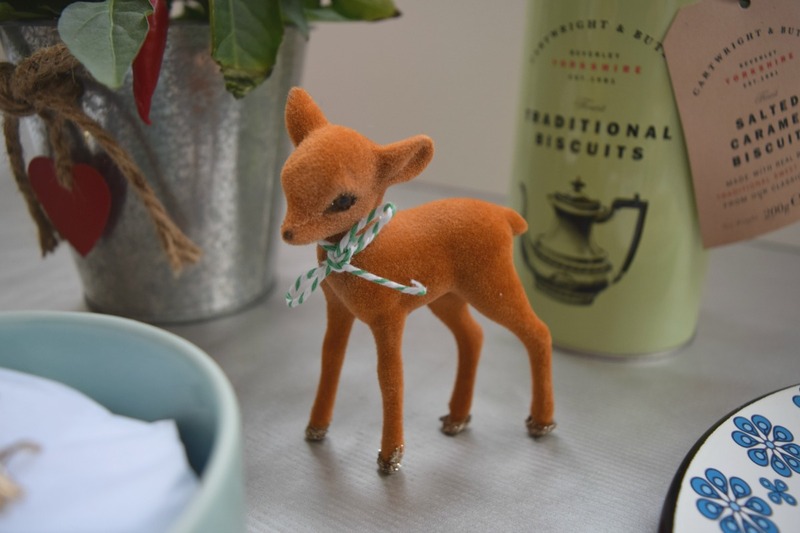 Mackenzie Glanville recently posted…Seven years ago . . . .
Oh I’ve been a little slack at linking up the last few month. Need to get into it again! I completely love Betty’s but I think it’s been over a couple of years since I’ve been. I must change that!! 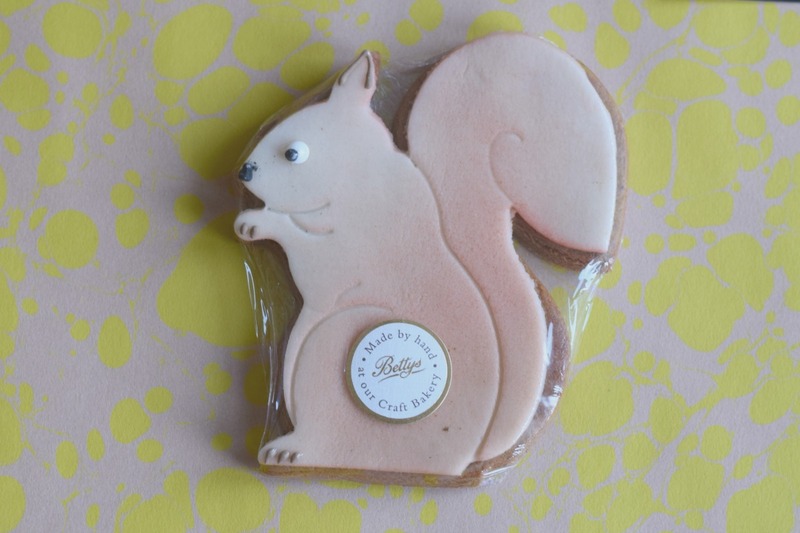 Ah the squirrel biscuit is so cute, I love Bettys, such a Yorkshire institution! Ah another great roundup!! I’d totally walk by Betty’s every day if I lived nearby, and I’m sure I’d be tempted in pretty often. mmmm That biscuit sounds absolutely delish and I love old railways postcards too! 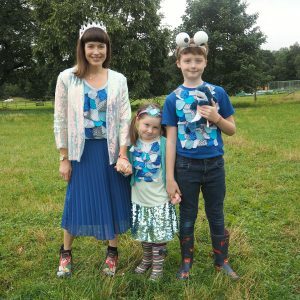 Mary Smith recently posted…The Ordinary Moments 2016 #38 – Discos, Funfairs, Sickness and a Birthday boy! I love these posts! 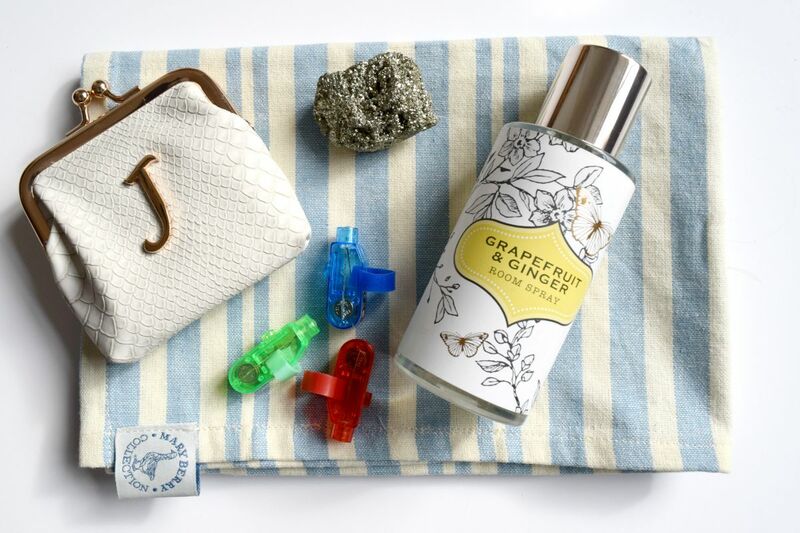 My fave is the vintage postcard – I love these things! I have loads for Norfolk!